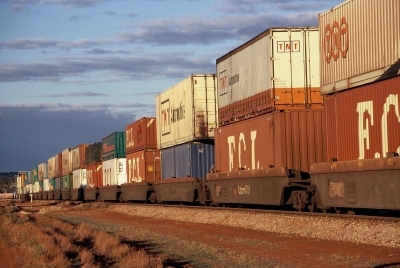 The Australian Logistics Council (ALC) believes the Federal Opposition’s commitment to work with industry on the development of cleaner transport modes must include a focus on the clear enthusiasm of many in the freight logistics sector to deliver improved environmental outcomes. “This industry has been among the most enthusiastic proponents of the potential of electric vehicles (EV) to improve our environment, whilst also providing operational and cost advantages for freight logistics businesses,” said ALC CEO Kirk Coningham. “The policy announced by the Federal Opposition contains a number of measures that can help make that potential a reality, provided that governments work closely with industry in helping deliver the right reforms. “ALC is particularly encouraged by Labor’s plan to boost EV charging capacity in the national road network. Overcoming ‘range anxiety’ is an essential part of delivering swifter EV uptake by freight logistics operators, and the commitment to work with COAG to promote national consistency in charging infrastructure is most welcome. “We also welcome the aspects of the policy designed to encourage investment in EV technology, especially the commitment to allow businesses to immediately deduct 20 per cent off any new EV valued at more than $20,000, and the intention to use the Australian Investment Guarantee to incentivise the upgrade of heavy vehicles to incorporate modern technology that can help reduce emissions. “The commitment to develop a Low Emission Transport Strategy is a responsible one, and will help ensure that all modes of transport are making a contribution to emissions reduction. Industry must be a key partner in the development of that strategy. “ALC further notes the Opposition’s commitment to introduce vehicle emissions standards, in line with those that currently operate in the United States. This is a significant proposal – and one that must be worked though carefully with industry if it is to succeed.